The German agency Jung Von Matt has created this cool ad campaign called the ‘Imagine’ . The print advertising campaign plays with your imagination. 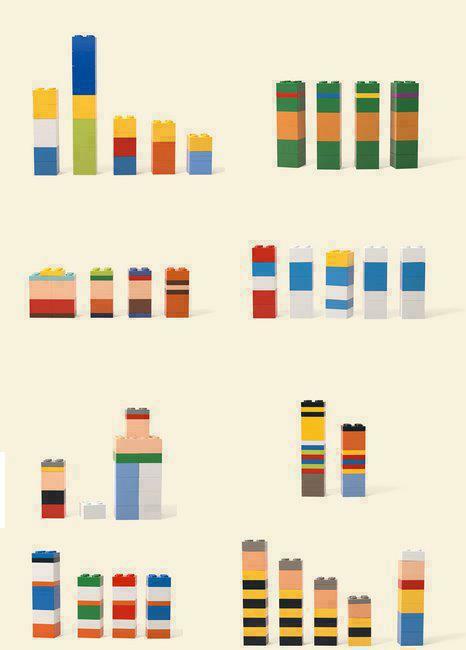 With such simple pieces, and design, the agency has created quite an ad campaign. After much talk about Safe House movie, i finally went to watch it on Sunday. Well, Safe House is a 2 hour ride that was packed with action but thats about it.. Like many others, i saw the trailer, heard the leading stars names and decided i want to watch it. The story opens with Matt Weston (Ryan Reynolds) who is a a housekeeper at CIA's Safe House in South Africa. Weston's is clearly frustrated that he has seen no promotion and his boss keeps promising him the clouds and stars, but nothing has changed. He bids adieu to his French girlfriend [who's a student at the local hospital] and assumes his place at the Safe house. Life for him changes with the entry of the fugitive Tobin Frost (Denzel Washington). Frost,a former CIA operative went rogue and was last heard to have sold classified information to the highest bidder and gone off the radar nearly 9years ago. After years of eluding the CIA, Frost walks straight into the Consulate one morning and there begins the twist in the tale. Heavily armed CIA men take him to the Safe House, but there is a breach and the place is raided, with Weston escaping with Frost on toe. Weston, being duty conscious decides to look for another Safe house to take Frost to, during the course of which he battles quite a bit for Frost's safety. The dialogues between Frost and Weston as they are weaving through the narrow lanes of South Africa are worth a watch. How Frost judges and assess Weston, talks to him about the filth within CIA and so on.... The scene in the stadium where Frost flips and makes it look like Weston was kidnapping so he could escape is quite ingenious. Quite a bit of blood is shed, and fights rage on through the movie. As much as it is to watch the action, it kinda strays away from the main plot and the audience is left wondering "where the hell are they going with this"
It was a thrill to watch Weston, a rookie fight, all the time keeping his eyes on Frost. But it was sad to see the same old pattern of the big guns in the CIA being involved in the sham, and out to get their own, to save their asses. Denzel with his suave character, quite demeanor steals the show as well. He fits well in the role of Frost. The movie is all about the slogan "no one is safe", it should also be "trust no one". 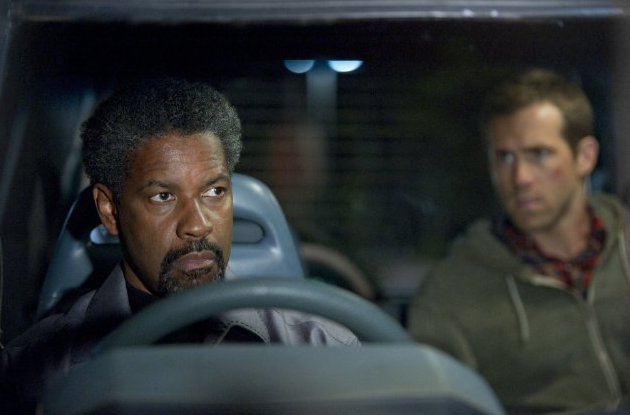 Safe House is a one time watch if you a die hard Denzel or Reynolds fan and enjoy non stop action. When the movie ended and credits rolled, all i can say is "so, what else is new?" Looks like Hollywood story tellers are fast running out of plots, and story lines. The movie had me thinking of Mission Impossible, Bourne Identity series and every other cop-criminal based movie that had ever been made across the world. The ending of the movie left a bad taste in my mouth, couldnt the director have come up with something bit more original? Why did he have to rip off the end from MI4 to the T ? sad.... And well, i am glad they dint go and make this movie in 3D.. would have been painful to watch,albeit for the fight and chase sequences.